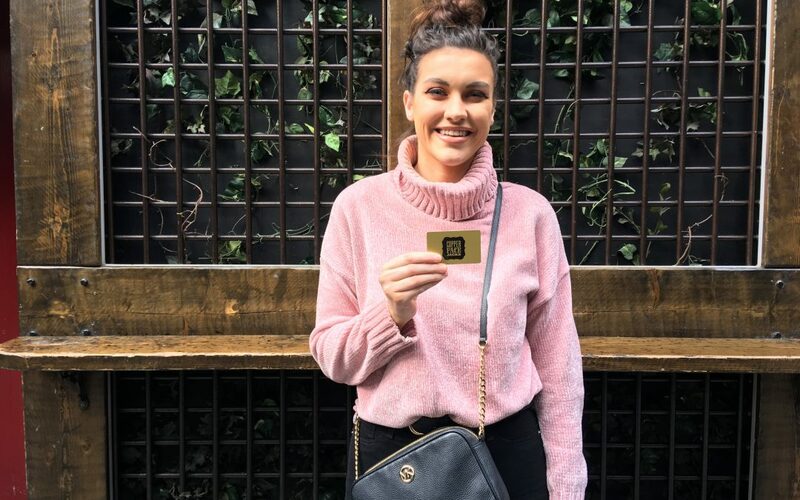 How can you get a Copper Face Jacks Gold Card? That is one of the more frequently asked questions around CFJ HQ. In short, there isn’t a specific process. Sometimes, they’re awarded to people. There’s been a Coppers flag planted at the summit of Mount Kilimanjaro, Coppers tattoos (which we don’t encourage by the way) and even a man who flew over from France just for a Coppers Tuesday! All in the name of a Gold Card. The latest episode, is a good will story. An unplanned one at that. Aoife McGivney, a nurse in The Mater Hospital, was on her way to work when the bus she was on started to veer off it’s path on a busy O’Connell Street. The driver had fallen unconscious. Aoife heroically stepped in and performed CPR on the man before calling for an ambulance. 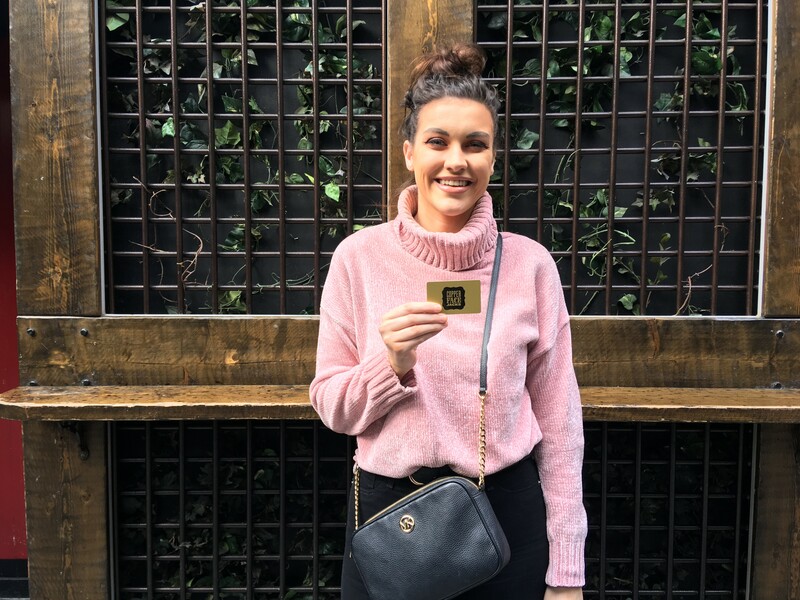 Having watched Aoife recall the story to the nation on The Late Late Show recently, we decided to reach out to Aoife and gift her with a coveted CFJ Gold Card. An avid Coppers fan, she says she’ll put the card to good use. Fair play!